Camilla Ma Ra Åkerström, a priestess, starseed, wayshower, earthkeeper, gridworker, gatekeeper, visionary, soulguide, wombwoman, doula, playful sister and Mother on her journey in life. She walks the Path of Love and has her roots within “the Ancient Lineage of Mothers of the World”. She is holding the codes of the White Rose to anchor in the North. 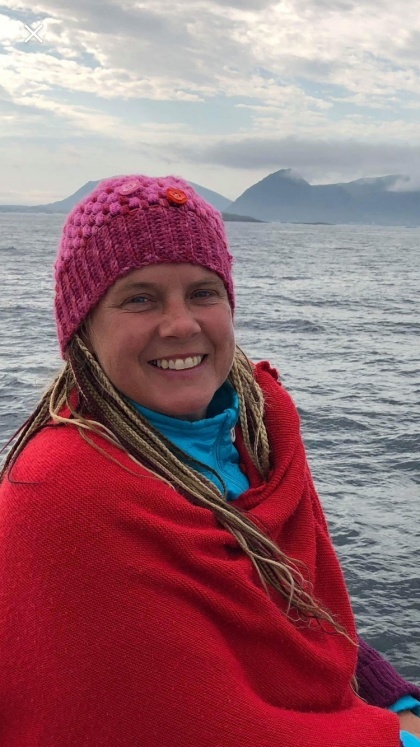 Camilla love to swim, merge and commune with Mother Whale and goes every year to Tonga to swim and merge with the humpabacks and to Northern Norway to merge with the Orcas. Feel free to contact Camilla for requests, weaving, sessions, programs, events, festivals, your curiousity, a question or just say Hi. Happy to dance, play, journey and weave together in this new sacred time. As many of you know the year of 2019 is about initiation, joy and soulembodiment. As Iniates of Light we hear our souls calling, walking the Path of Love and Truth and deepening our embodyment of Divine Love. We are here in this time of the New Earth to embody our soul on earth fully and this has not been done for over 2000 years. Our soul is a living essence. A part of Beloved Mother Father God and One Unified Heart. Our soul is holding our deepest desires, our deepest longing and also our fragmented parts that has forgotten they are love. It is my joy to invite you to the teachings of the White Rose. The White Rose is a path of love and truth, held by the Sisterhood of the Rose and the Brotherhood of the Light. The journey through the White Rose is a deep initiation and soulembodiment for you to walk through your fire, raise through the ashes, and re-birth your true self. For Camilla this has and is her journey, a journey of embodiment of her feminine soul on earth. To do the work and do the walk, to leave no stone untouched. Read more .. In this special time many new teachings of the White Rose is comming down, and also new teachings of the New Children. All this work is unfolding in divine timing and Camilla dance and weave with her sisters and brothers in the White Rose, walking the Path of Love, all here to anchor the White Rose teachings in the North in unity and community. Soulsisters and Soulbrothers that has been walking together in many lifetimes, all devoted to anchor Divine Love on the Planet. This is an invitation for you, sisters and brothers, to step up and step into your souls mission and purpose, be authentic and open up for a deeper meeting with yourself and the world. You are a Great soul that came to share your Light with the world.